From the critically acclaimed, award-winning S. J. Rozan comes her finest novel to date - an explosive novel about the corrosive power of secrets and corruption in a small town. In the middle of the night, private investigator Bill Smith is awakened by a call from the NYPD. They're holding a 15-year-old kid named Gary -- a kid Bill knows. But before Bill can find out what is going on, Gary escapes Bill's custody into the dark night and unfamiliar streets. Bill, with the help of his partner Lydia Chin, tries to find the missing teen and uncover what it is that led him so far from home. Tracking Gary's family to a small town in New Jersey, Bill finds himself in a town where nothing matters but high school football, where the secrets of the past - both the town's and Bill's own - threaten to destroy the present. And if Bill is to have any chance of saving Gary and preventing a tragedy, he has to both unravel a long buried crime and confront the darkness of his own past. 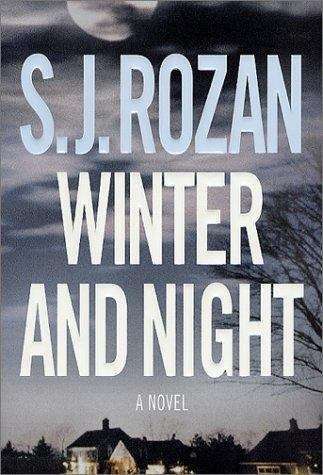 Winter and Night is the winner of the 2003 Edgar Award for Best Novel.